The Annual Southport Spring Art Show that takes place each year is a sure sign of spring that just about everyone looks forward to. 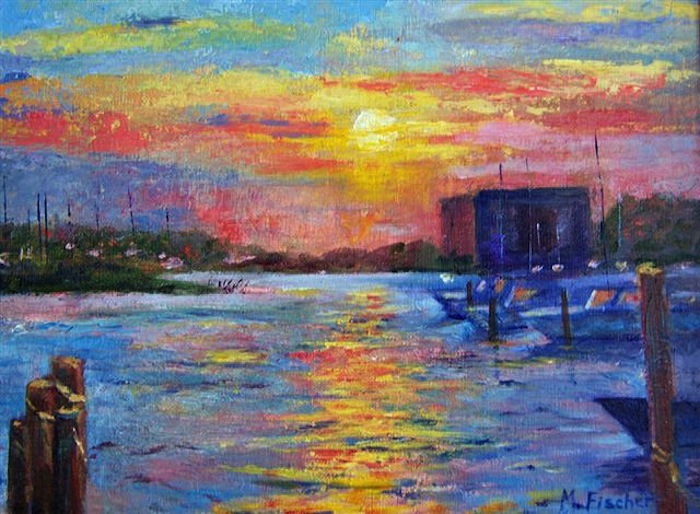 Artists from throughout southeastern North Carolina will display their latest paintings, pottery, and sculpture from March 2 through March 21, 2015 at the Franklin Square Gallery. Guest artists from throughout the region will unveil their latest paintings and pottery as they join the Associated Artists of Southport. The show opens on March 2 and runs three weeks until March 21. Over $1500 in prizes and awards will be presented at the evening reception, part of Downtown Southport’s First Friday Gallery Walk, on March 6 from 5-7 p.m. Many of the artists participating are long-time area professionals that are introducing the latest additions to their body of work. New artists just arriving in the area will be showing here for the first time. Many of the students from the gallery’s painting, watercolor, and figure drawing classes use this as their first major exhibition. Professional painter Susan Mauney notes, “This show is a good one for people in the community because it’s open to all and it gives talented beginning artists a chance to hang their work.” Mauney is a Signature Member of the National Watercolor Society, and this is the first local showing of her painting “Shell Game,” a soft, abstracted piece with layers of granulating watercolors that bring a lot of texture to the surface. 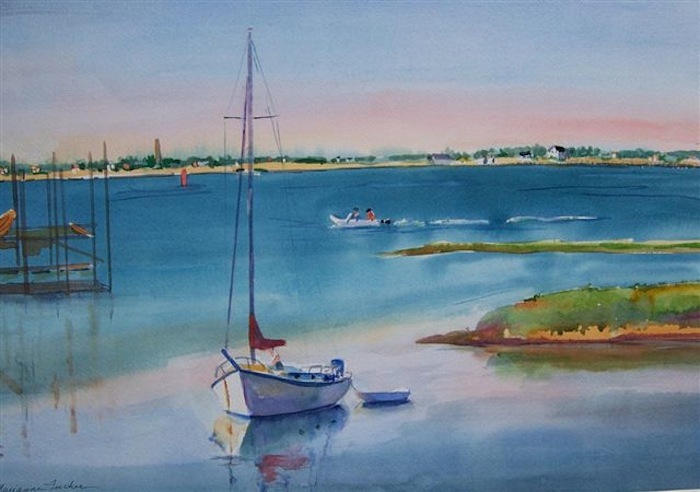 This is also the first competitive show for member Susan Dade’s “Old Yacht Basin,” part of a series depicting the changing light of this marina at morning, noon, and evening. Award-winning acrylic painter from Holden Beach, Greta Swaim, will bring two of her newest linear expressionist abstract paintings. This diverse group of painters and ceramic artists bring a range of style, techniques, and creative vision to the exhibition this year. 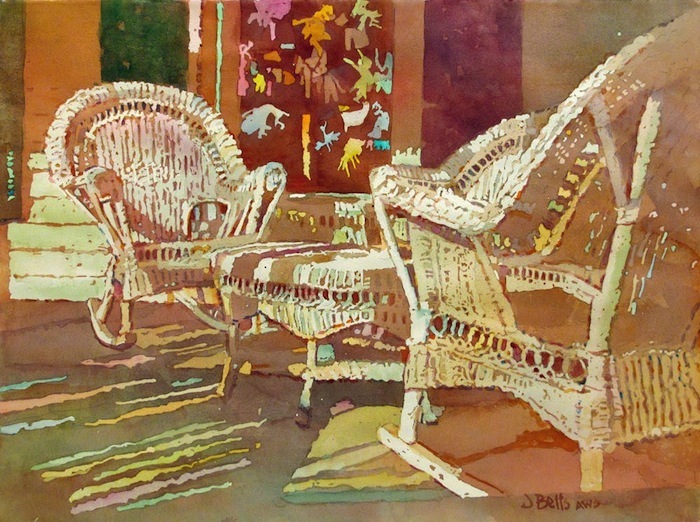 Painters focus on local scenery, still life, a variety of cultures, and scenes from their travels. Ceramic artists will be displaying large decorative pieces, hand-built clay creations that stretch the imagination, as well as functional platters, bowls, and vases. The show will be judged by Skip Lawrence for two-dimensional work, and Brian Evans for three-dimensional. Lawrence is a well-known and versatile artist and instructor from Maryland who is known for his painting workshops from Springmaid in Myrtle Beach to locations in Maine. Award-winning potter Brian Evans, owner of Evans Pottery in Wilmington, has taught at Cape Fear Community College and is a founding member and past officer of the Coastal Carolina Clay Guild. In addition to the work presented in the Spring Show, the Associated Artists also offer an additional selection of paintings and pottery for everyday use, reproductions, matted originals, note cards, and ceramic gift items on display in the gallery. The gallery is open from 10 a.m.-5 p.m. Monday – Saturday. Admission to the gallery and this event is free. The public is invited to meet the artists and judges at the evening reception on March 6, part of Downtown Southport’s First Friday Gallery Walk.